You must have read or heard 4 ‘buzz words’ doing rounds in the healthcare & life sciences industry: Social, Mobile, Analytics or Big Data and Cloud (popularly known as SMAC). And these 4 biggies are set to transform the industry, benefiting all the players involved in the entire healthcare eco-system (payer, providers, patients and life-sciences organizations). Big data has a huge potential where it can assist organizations to improve quality of care, reduce costs, engage patients and allow organizations to focus more on wellness and standardize care process. Cloud and cognitive computing will enable better outcomes, reduce healthcare costs, and minimize errors resulting in more personalized care.Smartphone apps are no longer confined to collecting data. 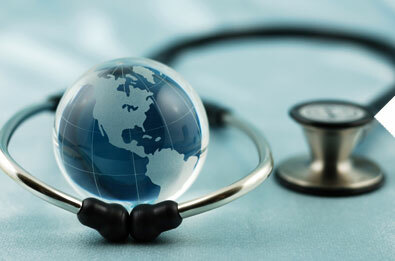 They are numerous applications for various aspects of healthcare. There are weight reducing apps that makes it easier to track your exercise regime and diet. I mentioned one of such apps in my previous blog.Patients and providers and getting more social media savvy and this is surely resulting in improved patient-provider engagement resulting in easier access to quality healthcare. Recently, I was interviewed regarding this and it generated quite an interesting discussion You can read that published interview to get more of my views on these 4 trends by click here. Do watch out this space for more in-depth views into SMAC where I will continue to write on these four. Please let me know your thoughts and comments. Next: Next post: How innovative technology is helping early diagnosis of cancer?